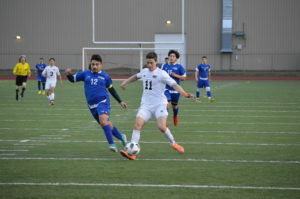 (Centralia, WA) The Centralia Tigers came out in this match flat and the Rochester Warriors took advantage jumping out to a 1-0 lead and nearly taking that to halftime. 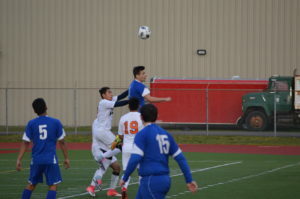 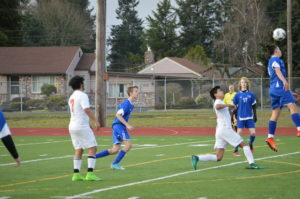 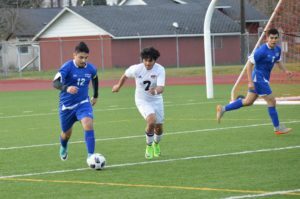 Centralia had made several runs in the 1st half but either simply missed wide open shots or were denied by the Rochester defense led by keeper Dominic Heinrich and backliners Jose Aliende and Isaac Garcia. 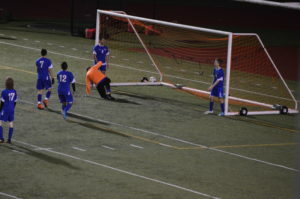 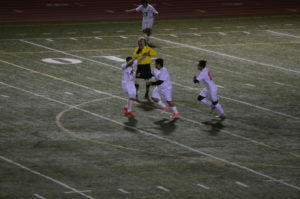 The Warriors then took advantage of a long goal kick from Anthony Vasquez-Valentine that bounced ahead of everyone but Mason Pietras got to it first and flipped it over the head of Tigers keeper Jesse Vazquez and into the net stunning the Tigers with the early lead in the 18th. 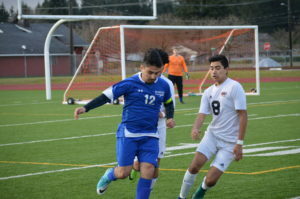 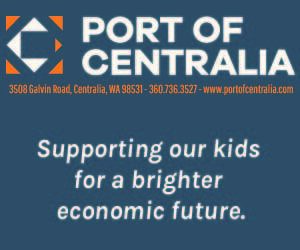 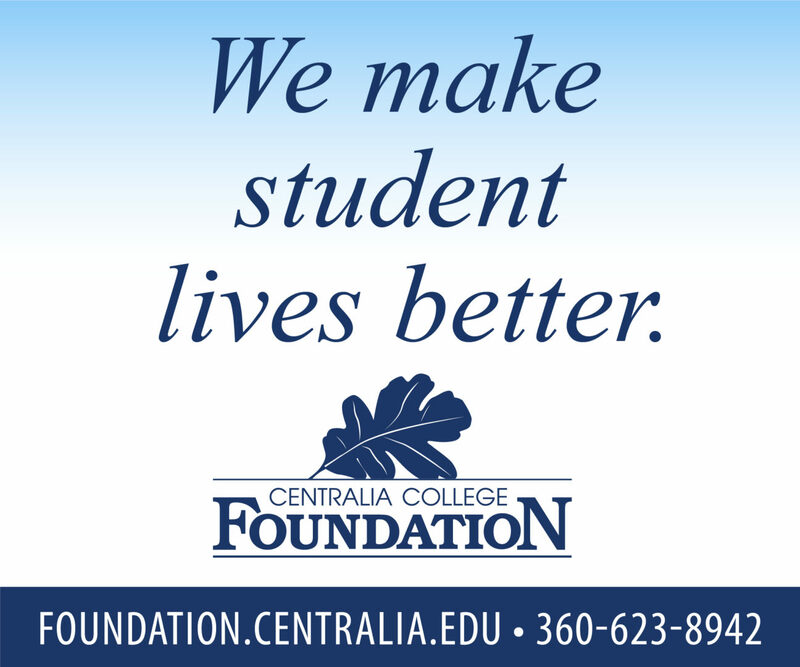 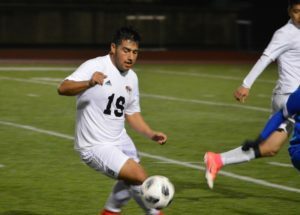 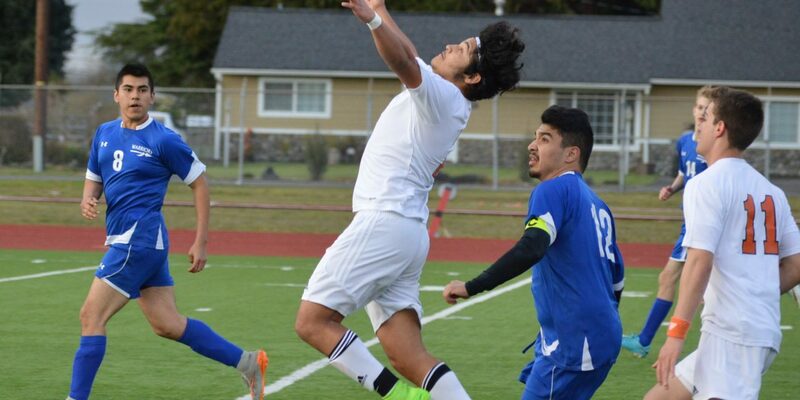 Centralia got the equalizer in stoppage time just prior to haltime on a header by Manny Aguilar off a Mario Silva corner kick and it was 1-1 at the break. 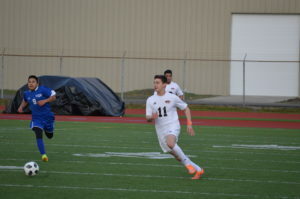 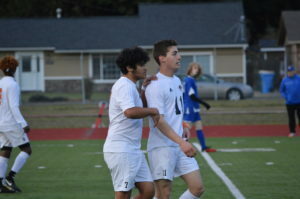 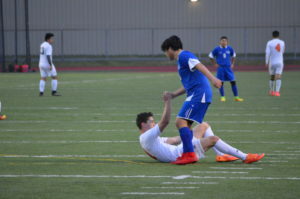 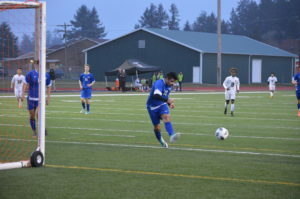 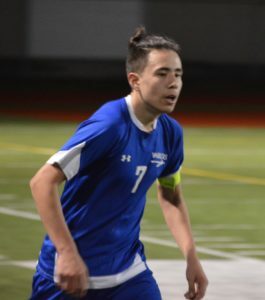 Centralia re-grouped at the break and Silva quickly took control of the match striking quickly in the 42nd and about a minute later in the 44th with a rocket shot from outside the 18-yard box and just like that it was 3-1. 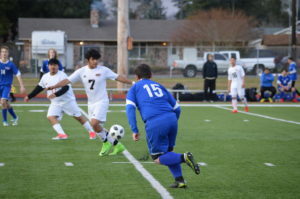 Ronaldo Ortiz then added to their lead with a goal just 4 minutes later and it was 4-1 which was followed up just 9 minutes later with Silva’s hat trick making it 5-1. 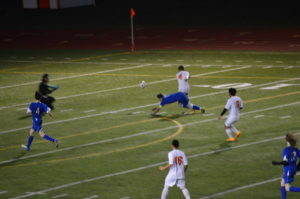 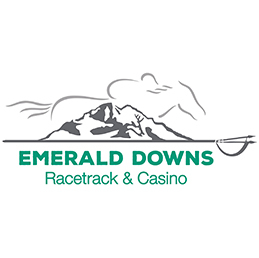 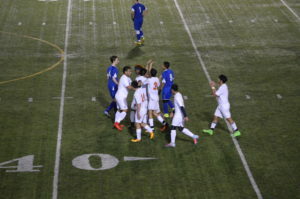 The Warriors got one back in the 65th on a goal by Enrique Sanchez-Hope to make it 5-2. 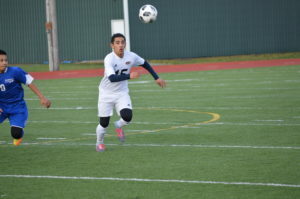 Centralia put away the match with goals in the 70th and 71st from Jose Pena and Kibrom Tesfagergis and Vasquez-Valentine got credited for the final goal for Rochester to make the final 7-3. 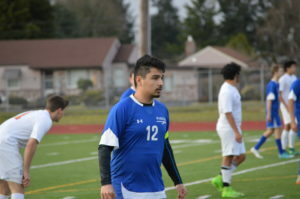 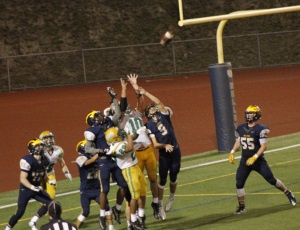 This was the 1st Evco 2A 1st league match of the season. 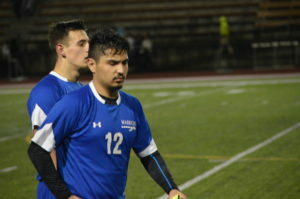 Our Pacific Sports Spa Players of the Game went to Mario Silva for Centralia and Anthony Vasquez-Valentine for the Warriors. 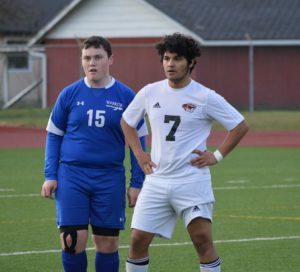 Our Thorebeckes Sportsmanship award went to Centralia’s Manny Aguilar.